Harrisburg, PA – As part of his Administration’s “It’s On Us PA” campaign, Governor Tom Wolf announced today that 36 postsecondary institutions in Pennsylvania were awarded nearly $1 million in grants to address campus sexual assault. Improve awareness, prevention, reporting, and response systems regarding sexual violence in schools, colleges and universities to better serve all students. Remove/reduce barriers that prevent survivors of sexual violence from reporting and/or accessing vital resources by creating a more consistent, empowering reporting process for student survivors of gender based violence. Demonstrate significant, proactive, and sustainable leadership to change campus culture by challenging Pennsylvania’s education leaders – including college and university presidents, superintendents – as well as students, teachers, faculty, staff, families, and communities to pledge to improve their institutions’ climate. Accuracy of the information submitted. Programs or activities that were considered for funding included campus-wide training for students, faculty and staff; institutional campaigns to raise awareness and understanding of the reporting process and resources available to and rights of survivors of sexual violence; programs that enhance awareness of available resources and students’ rights or seek to increase mechanisms for anonymous reporting; and efforts to improve capacity to collect federal- or state-required data. 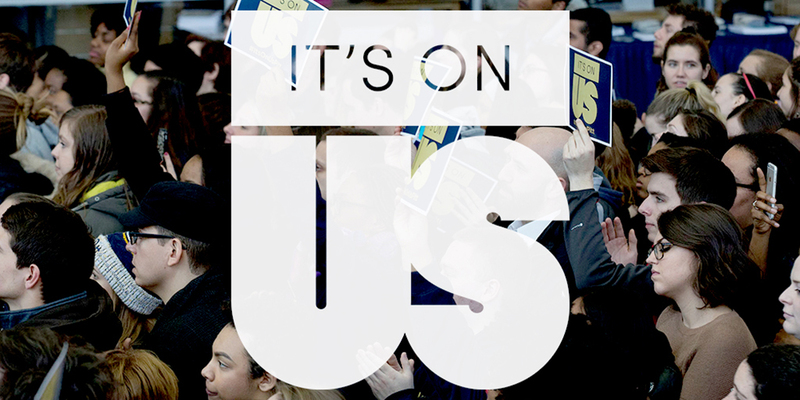 Last January Pennsylvania became the first state to launch an “It’s On Us” campaign, building from the momentum of the national campaign launched in 2014 by President Barack Obama and Vice President Joe Biden. Funding for the ‘It’s On Us PA’ grants was secured by Governor Wolf in the 2016-17 state budget to build on the campaign’s progress. Since launching the ‘It’s On Us PA’ campaign in January 2015, over 1,000 people have taken the pledge.